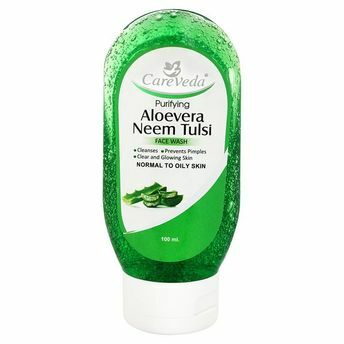 Careveda aloe vera face wash regulates the oil secretion for oily acne prone skin. It prevents drying and moisturizes the skin. It balances the skin texture i.e. neither makes it too dry or too oily. As it gets rid of acne-causing bacteria from the root and improves the overall health and immunity of your skin to keep future acne or ulcers at bay. Aloe vera face wash regulates the oil secretion for oily acne prone skin. Perfect for dry, combination and sensitive skin.